The new MacBooks announced Tuesday aren’t very upgradeable: You can bump up the processor in either model to a 1.3GHz Intel Core m7 for a $150 upcharge, and they both come with 8GB of RAM. But you can’t upgrade the storage. The $1299 model has 256GB, and that’s all it will ever have. The $1599 model has 512GB, and that’s as high as it goes. I love portable Macs, but I also have a lot of files, and managing them on my 256GB MacBook Air is a chore. The biggest offender is my local Dropbox folder, which I use to back up my iPhone’s Camera Roll, but I also can’t keep a big iTunes library on this machine, or even local iTunes backups of all of my iPhones and iPads. I’ve got two USB drives mounted whenever I’m at my desk: one for Time Machine, and one for just offloading device backups and big files. 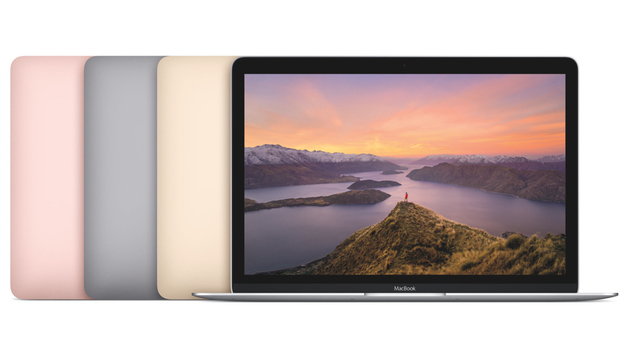 Both models of 15-inch MacBook Pro with Retina display offer storage upgrades. The $1999 model that comes with 256GB of storage can go to 512GB for $300 more or 1TB for $500 more. And a $500 1TB upgrade is also available for the $2499 model. That means that Apple will sell you three MacBook Pro configs with 1TB of storage, staring at $2299 for a 13-inch model, and $2499 to $2999 for the 15-inch model. None of those are in my price range—and like the 12-inch MacBook, the MacBook Air has no terabyte option at all. But maybe there’s another way to get the storage I need. In the fall of 2014, Apple cut the prices on iCloud storage to fall more in line with competitors like Amazon and Google. But the best thing Apple could do is recognize that we’re already paying a lot to play in its garden, and throw in free iCloud storage that matches the capacities of our Macs, iPads, and iPhones. It wouldn’t have to be forever. Just start me off with a year or two and I’d probably keep paying for it when the time ran out. Apple made headlines last week for updating its environmental FAQ with estimates the typical “years of use” life span of its devices: The company “assumes” Macs and Apple TVs will be used for four years, and iPads, iPhones, and Apple Watches for three. Even rounding that down to two years for each new device would be sufficient, and Apple could even exclude Apple Watch and Apple TV from the deal, since those don’t need associated iCloud storage nearly as much. Yes, that would be a lot of free storage given away. People only pay for iCloud storage to use with their Apple devices, so if new Apple devices suddenly came with free iCloud storage…then who would pay for iCloud storage? Well, some people (maybe people with 16GB iPhones) might use the free storage to back up the whole device, and then buy a little more to keep their photos and videos flowing to iCloud Photo Library without having to sync the iPhone to a Mac to offload photos that way. To facilitate this, Apple could make it easier to manage what files are kept where—say, by providing an “iCloud Locker” that only lived in the cloud and didn’t sync to your devices. That way you could offload files to the cloud, freeing up space on your devices but still having those files accessible on demand. The Services portion of Apple’s business is growing, but it comprises a lot more than just iCloud storage fees. If millions of customers suddenly got more iCloud storage for free, it’s possible some other services would see an increase in revenue that would offset some of the lost opportunity. For example, you might buy more apps or content to fill up your device, since you know that even when it’s stuffed to the gills you’ll be able to back up the whole thing to iCloud. Since the free iCloud storage would cumulative, customers have more incentive to go all-in with iPhone, Mac, and iPad, and the more Apple devices you own, the more likely you are to buy apps, purchase content from iTunes, subscribe to Apple Music, enroll in AppleCare+, and so on. This certainly isn’t a brand-new idea, but consider me firmly on the bandwagon. Apple has tons of money, so giving away free iCloud storage when you buy a Mac, iPad, or iPhone probably wouldn’t send the company to the poor house. It would, however, suddenly make a 256GB laptop or a 16GB iPhone or iPad seem a lot more valuable.